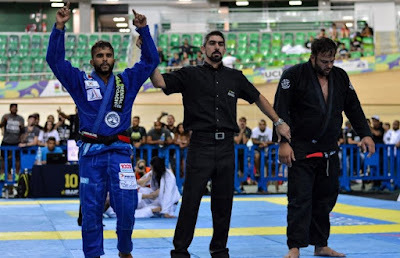 Always looking to test himself and put his jiu-jitsu to the limit, last weekend at the Rio Open, Luan Carvalho went beyond the typical gold medal in the lightweight division. The Oak Jiu-Jitsu teacher signed up for the ultra-heavyweight division, five notches above his own, with competitors averaging 20kg more than he weighs. The division wasn’t full, but right in his first match he met with a tough foe. Otávio “Oreia” Serafim, an ultra-heavyweight from Alliance, is a well-known character from IBJJF competitions. It was a very deliberate match, but in the end, Luan managed to pass and get on top to score the winning points. Later, he and his buddy Erberth Santos refrained from fighting in the final. Ukrainians are ready to win! The fighters from Krivoy Rog captured medals!